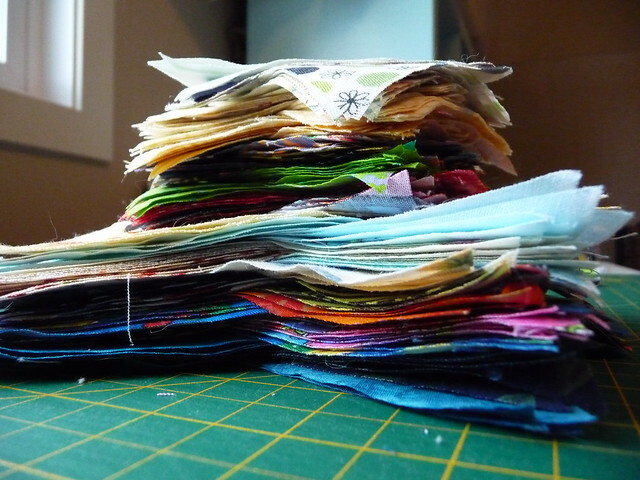 Last weekend I finally got around to cleaning up my sewing room and this is one of the results - a stack of 60 degree triangles cut from scraps. 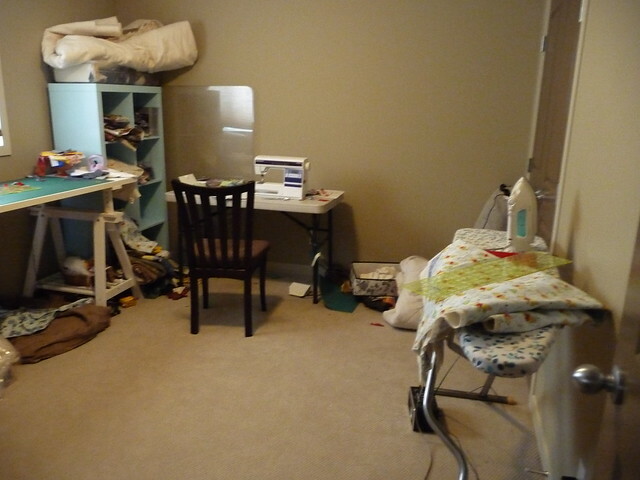 The room started out looking like this with fabric falling off the shelves, scraps strewn everywhere and current projects just hanging out. That lump of stuff under my cutting table is actually burlap covered with an old piece of flannel because one of my cats claimed that as her bed. I found fabric in all sizes, colors and shapes. 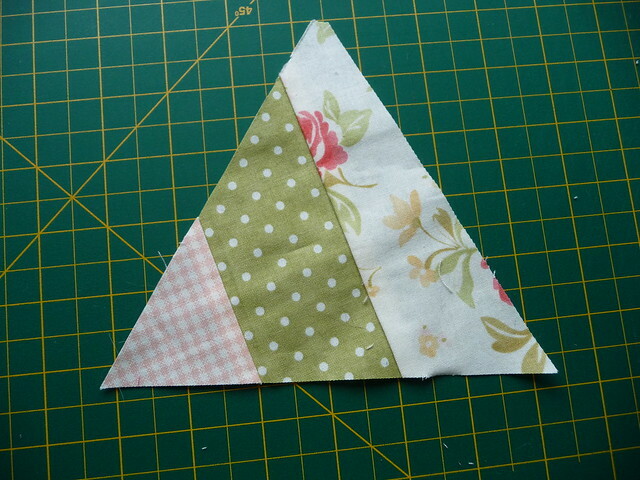 And two sizes of triangle (3" and 5.5") for a triangle quilt. 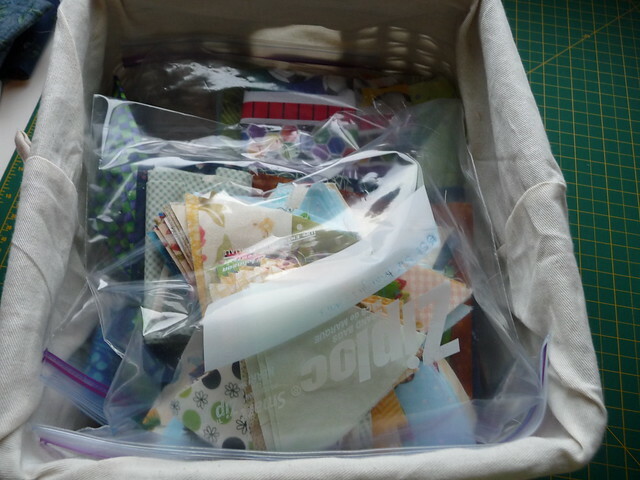 I even chopped up leftover blocks from the quilt I posted about yesterday because what else am I going to do with them? Larger pieces of fabric were either left alone or cut into 10" squares. Smaller pieces were cut into 2.5" strips or thrown in the string basket. All in preparation for this weekend. Today (weather permitting) my parents are coming up. 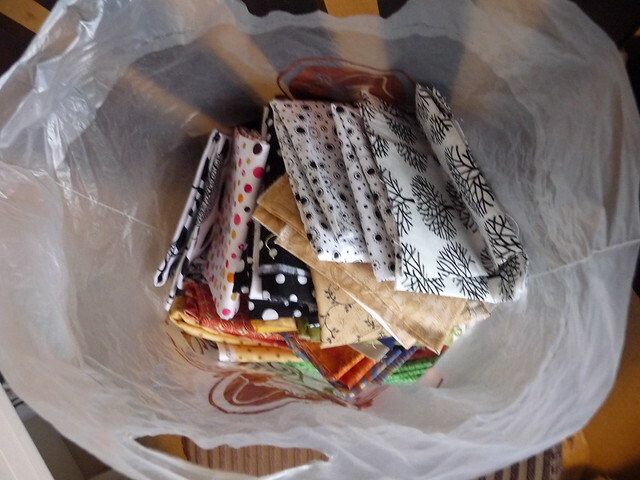 Mom has stash issues so she's bringing along her scraps (I suspect it'll only be a portion of) and we may go through and do what I did above to her stash so I can get more triangles. She's going through that bag of larger cuts of my fabric looking for 10" squares for a class she's taking. I guess we're having a mini quilt retreat, at least until the grand kids (and my brother and his wife) show up Friday afternoon. This is why I'm hoping for only a small portion of Mom's scraps. 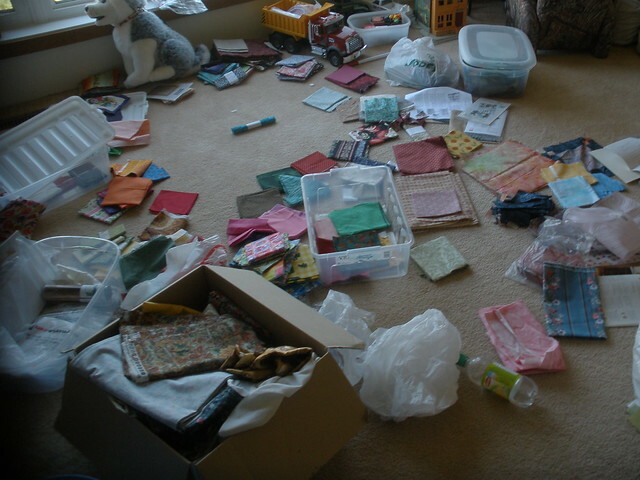 This is only a small portion of the bits and pieces she had last time I went through her stash and I understand that in their new house, her stash has overflowed her sewing room and is now plotting a takeover of the storage room. The above doesn't even begin to include the fabric she has bought with specific projects in mind. In her defense, this is accumulated from her own purchasing, fat quarters won at quilt retreats, my grandma's quilting fabric (possibly both Grandmas) and random bits she's acquired as friends have quit quilting.